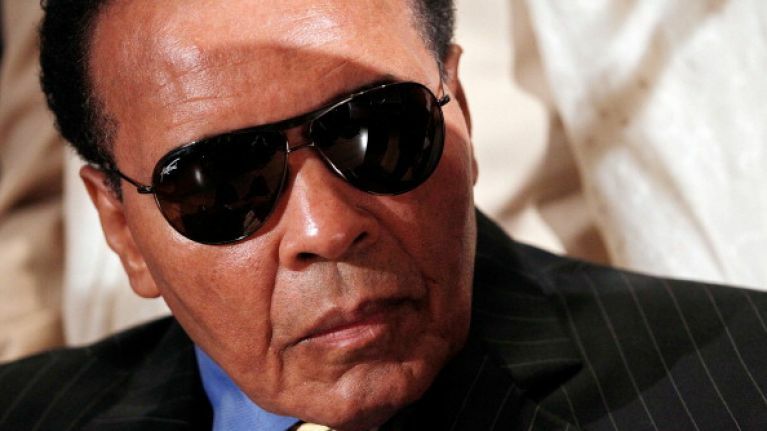 The legendary boxer Muhammad Ali has been hospitalised for treatment of a respiratory problem. A spokesman for the family of the former world heavyweight champion has confirmed that he is currently under medical care in a "fair" condition. The 74-year-old, who was diagnosed with Parkinson's disease roughly three years after his retirement from boxing in 1981, was last seen publicly in April. He was also admitted to hospital for a bout of pneumonia in 2014. The statement from Bob Gunnell said: "Ali, who suffers from Parkinson’s disease, is being treated by his team of doctors and is in fair condition. "A brief hospital stay is expected. At this time, the Muhammad Ali family respectfully requests privacy." Muhammad Ali is the oldest living ex-world heavyweight champion, a title he won three times. Fans of the world famous sportsman have been quick to wish him a speedy recovery. Hope Muhammad Ali makes a full recovery. Let's do well to remember the legend Muhammad Ali in prayers. A speedy recovery is what I wish you tonight. Nope 2016. NOT TODAY. Glad to hear Muhammad Ali is in fair condition. Wishing him a full recovery.